"The book has encyclopedic breadth and analytic depth, and is beautifully illustrated with drawings and paintings, all presenting the body in one or another of many possible positions and situations, all suggesting that we need the mirror of art to insightfully attune to our own bodies." 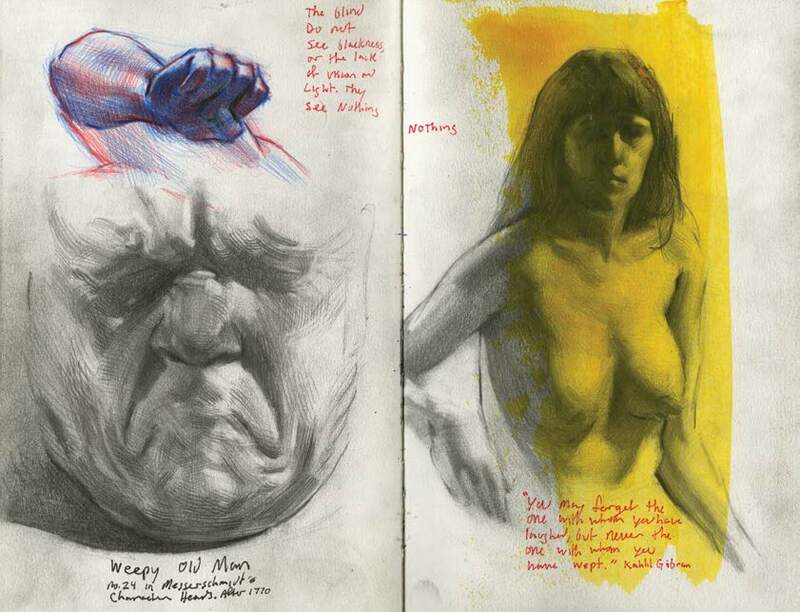 "The Figurative Artist’s Handbook... is a very beautiful book to look through, so it may be challenging for those who use it as a handbook to let it get dirty and dog-eared, just like the previous generation did with their [Andrew] Loomis books. But used as intended — both for reference and for inspiration — it will achieve its purpose. As its gorgeous plates tell us, there is a rising group of figurative artists who know the importance of learning “the rules” before they break them, which is precisely the opportunity this book intends to offer its most ambitious readers." To pre-order the book from Barnes and Noble, click here. You can order a SIGNED and PERSONALIZED copy directly from me for $35 ($30 + $5 domestic shipping. For international orders, please email me here, and let me know your address. I'll calculate shipping and get back to you with an adjusted price. To order a SIGNED copy, click on the button below. At a time when renewed interest in figurative art is surging throughout the art world, author Robert Zeller and the Monacelli Press present The Figurative Artist's Handbook, the first comprehensive guide to figure drawing, painting and composition to appear in decades. Over 300 pages illustrated with Zeller's own exquisite drawings and paintings as well as works by nearly 100 historical and contemporary figurative art masters, the book includes some of the finest figurative art of the past and the present day. 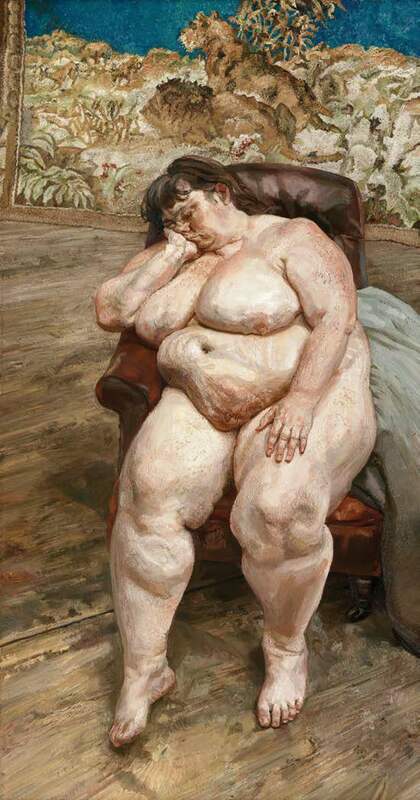 Some of those included are Michelangelo, Pieter Brueghel the Elder, Peter Paul Rubens, Jean-Auguste-Dominique Ingres, Gustav Klimt, Edward Hopper, Andrew Loomis, Andrew Wyeth, Lucian Freud, Odd Nerdrum, Eric Fischl, Bo Bartlett, Steven Assael, John Currin, and many others. Now available at the Metropolitan Museum of Art, The Getty, Mass MOCA and in other major museums throughout the US and internationally, in addition to Amazon and Barnes and Noble, and The Strand (NYC). 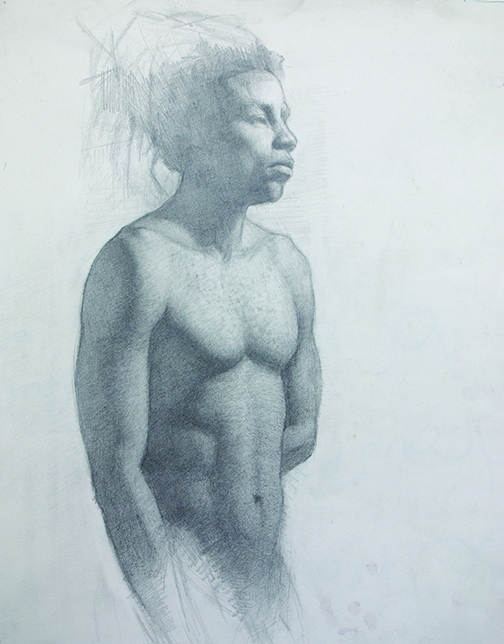 "Rob Zeller’s debut book on drawing and painting the human figure promises to be the most definitive on the subject in decades. Simultaneously classical and contemporary in scope, it contains roughly 300 images, how-to diagrams, and information about figurative art movements of the past as well as profiles of some of the greatest practitioners working today... featuring examples of Zeller’s own work and also some of his best contemporary peers, who collectively bring the figurative tradition forward into a new era." 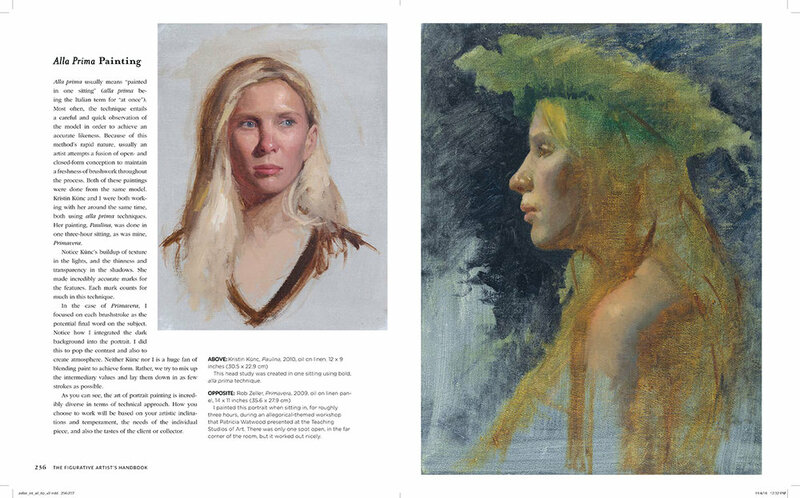 A sample spread from the book on Alla Prima painting.